The Sunshine Coast is blessed with a mere 360 days a year of sunshine and great weather for swimming. Luckily the region is paired with a myriad of amazing salt and fresh water-wonderlands for you and your friends to discover and take a dip in! Here are our top 9. 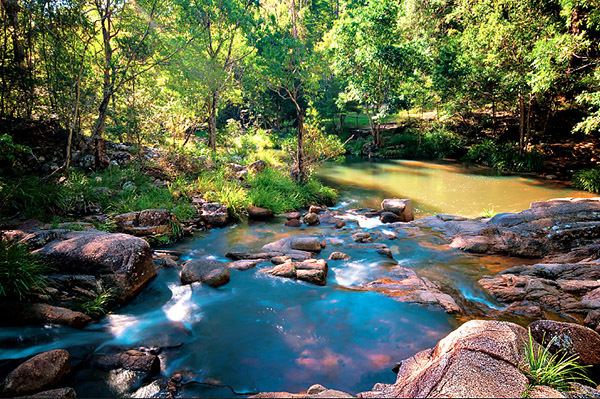 The stunning Artists Cascades is beautifully hidden gem that lies in the Conondale National Park along Boolumba Creek and is part of the Sunshine Coasts majestic Hinterland. While some may scoff at the idea of a 10km return walk, it is well worth the effort as the falls are breathtaking! 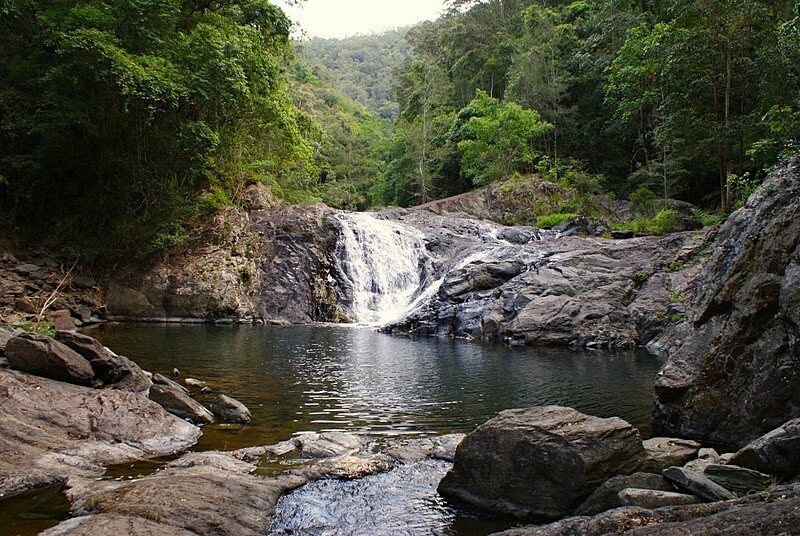 Pack a picnic, spend the day exploring the natural surrounds, then dive into your sweet reward that is the cool and refreshing water of the falls. If you prefer your white sandy shores of the Sunshine Coast with fewer bodies, there is a quiet slice of paradise nestled off the motorway between Maroochydore and Noosa known as Yaroomba. 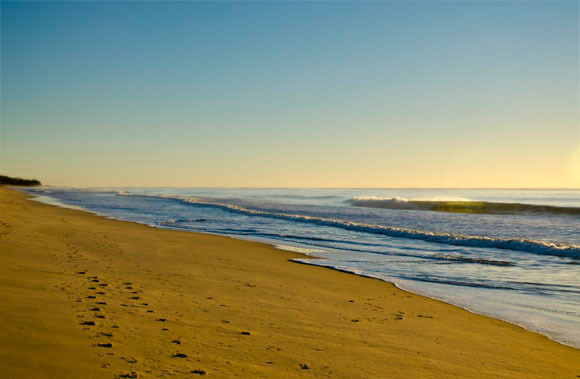 This idyllic stretch of beach in is relatively flat and perfect for long walks, picnics, and has playgrounds for the kids! It’s important to note that Yaroomba is known for having strong rips, so make sure you swim between the flags! 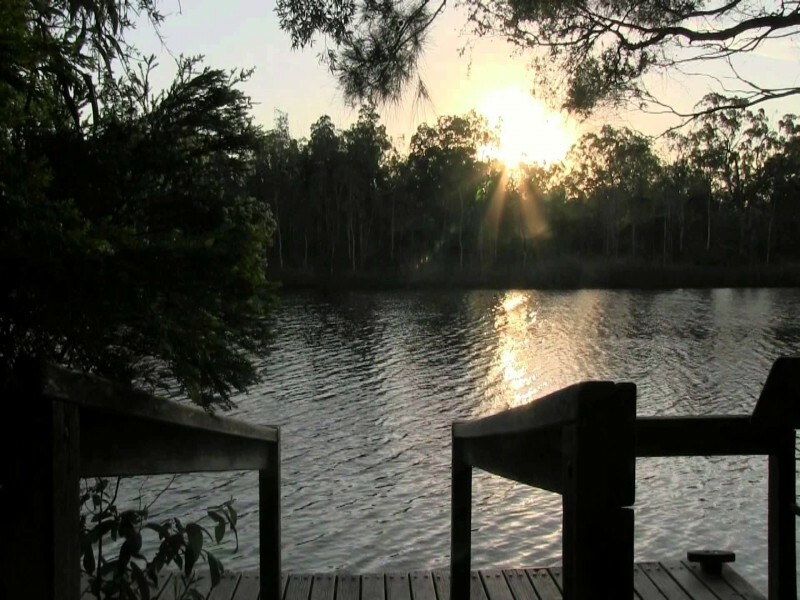 The Noosa Everglades is one of Australia’s less travelled paths to paradise, but it is well worth the effort. Harrys Hut is accessible via car, kayak, or raft, so you will only be sharing your swimming space with those who really know their stuff! This means you can relax into the utter tranquillity of the everglades and enjoy a swim in an unforgettable location. Looking for a bare-all swim? 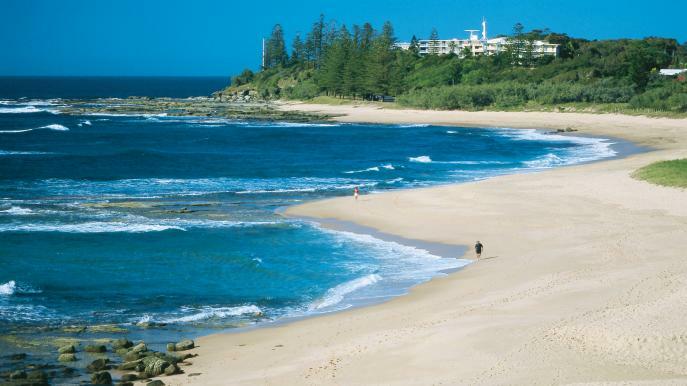 Third Bay at Coolum is where you can unofficially get your kit off on the Sunshine Coast! Take a drive from Point Perry to Point Arkwright, turn off at the third car park on the beachside and walk to this little hidden gem and take it all off! …However it is advised to keep your clothes close by… just in case! This refreshing swimming spot is a true hidden treasure! 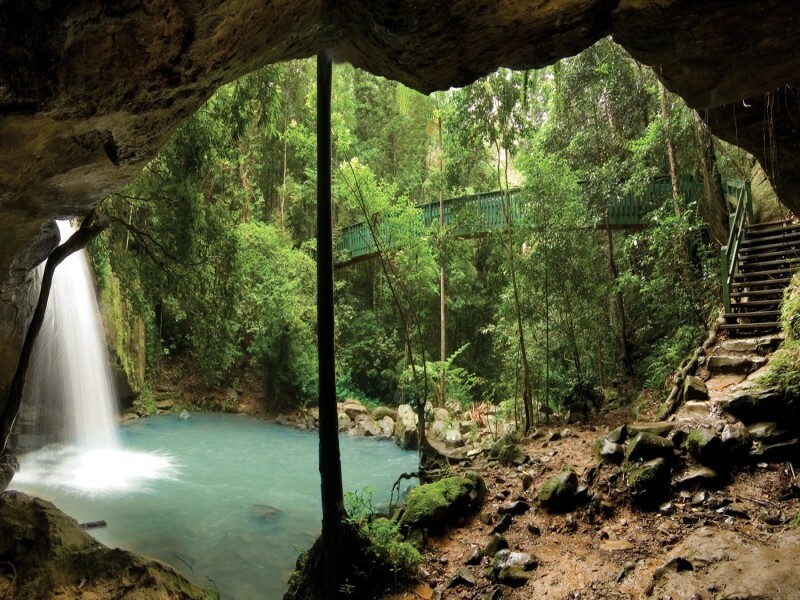 Drive along the Sunshine Coast Hinterland to Gardener Falls at Maleny nestled along Obi Obi Creek. These majestic falls are you reward for embarking on a short, leisurely walk, which also boasts an appropriately sized swimming hole, picnic spot, great scenery, and even a swing rope for the more adventurous folk! A marine Biologists dream! Countless rock pools dot the beach that are thriving with marine life and shells. The thundering waves are great for body surfing and just general water fun, and they’re even better to listen to from the shore once you’re done in the water. Shelly beach is decidedly one of the best spots on the Sunshine Coast, made even better by the fact that it is the path less travelled. 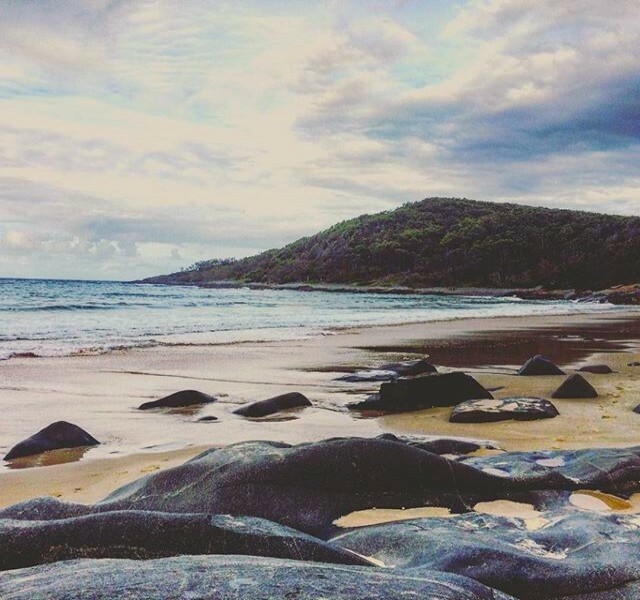 Located between Moffat beach and Kings beach this little gem is one of the top beaches to go to, however its charm is that it’s exposed, so don’t expect calm water and take care swimming! 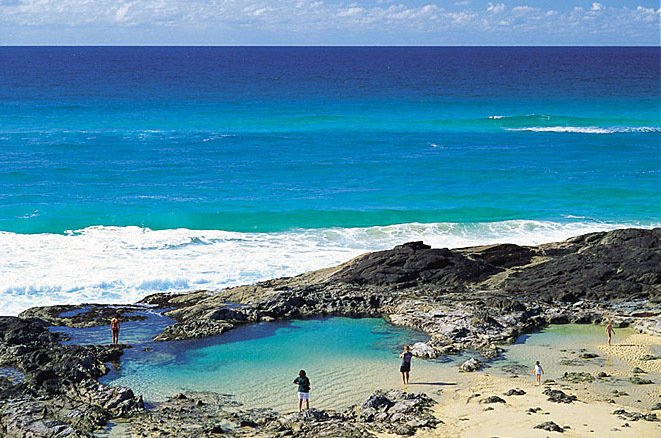 Among the spectacular beaches at Noosa’s National Park is the historic Winch Cove. This beautiful beach provides peaceful serenity among its natural surroundings, however the surf is rough and the beach is not patrolled, so take care in finding this quieter stretch of coastline. It is a great spot to relax and unwind completely as it is quiet and utterly mesmerising. Located in the Woondum National Park, a short 10 minute drive from Gympie’s CBD and still connected to the amazing Noosa trails, the Mothar Rock Pools is a spectacular place to visit and swim. Ideally located nestled in the rainforest with giant Eucalypts trees dotted throughout, there is no wonder the secret of the majestic Mothar Rock Pools has gotten out! This tranquil spot can be found in the Buderium Forest Park after a short walk through the flora. Float in the therapeutic water and take in the incredible natural surroundings or enjoy the lovely view from the nearby bridge which looks over the falls and swimming hole. 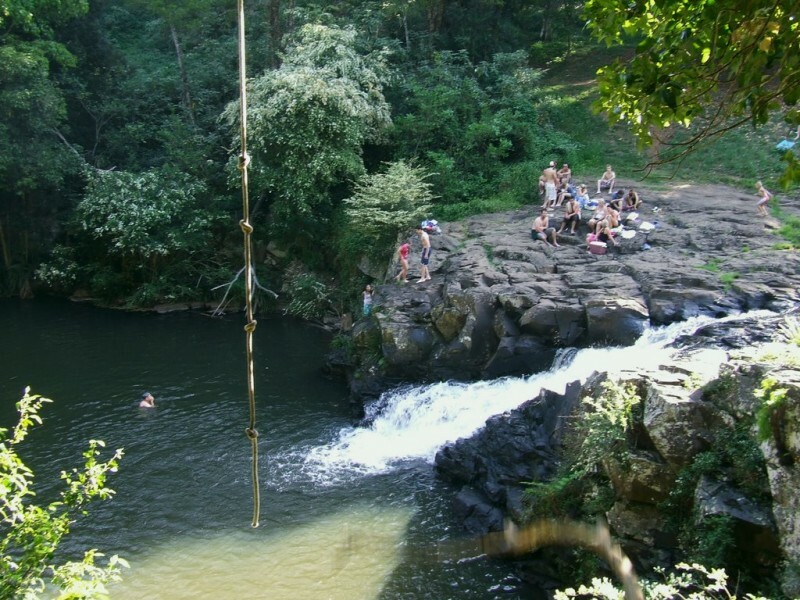 Have you been to any of these secret swimming holes? Share your pictures with us below in the comments or on Instagram or Facebook – we’d love to see and feature them!